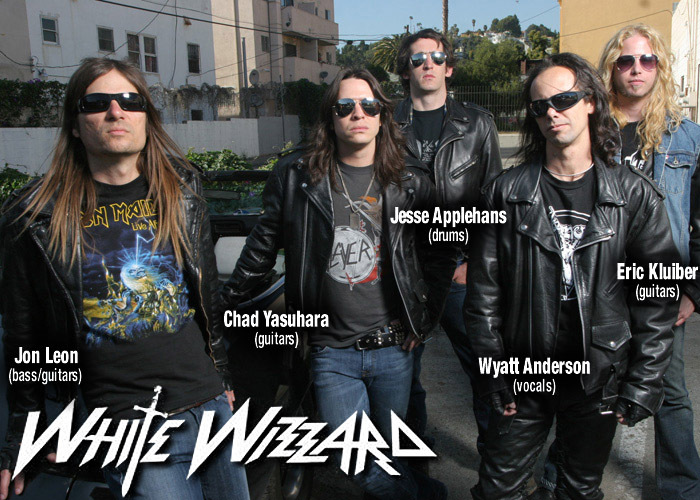 WHITE WIZZARD have confirmed dates for a full European headlining tour, which kicks off on September 27th in Brighton, England. The band will be hitting the road in support of their new studio album, THE DEVILS CUT, starting with a string of recently-announced UK shows, followed by stops in Germany, Denmark, Italy, Switzerland and the Netherlands. "We are very excited to get back over to Europe. Giovanni and I have worked hard to get a solid line-up of guys that will actually tour and stick it out and to make White Wizzard a stable entity for the fans. We appreciate all of our fans being so patient and supportive. What we have now is a line-up that has been together over a year that is very dedicated and serious. The fans will finally get to see the five guys that recorded the album and we promise we will not disappoint. "This is only the beginning as we are already writing the next album and we are hungry to finally see the band through to its intended vision. If you dig the album, just wait until you see this group of guys live. We are on a mission in its first stages and we hope you come along for the ride. It is going to be a blast!!!"